The ultimate family retreat by renowned local builder. 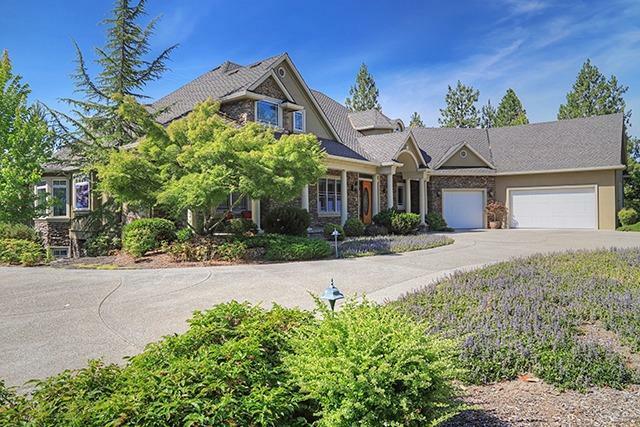 This East Coast Provenance meets West Coast Ease compound is sited on 14+ acres of breathtaking Southern Oregon scenery to create: 'A Home for Generations'. Offering a 5652+ sf main house, this 5 bed/5 bath estate like home includes a multitude of gathering spaces, and features luxurious indoor/outdoor amenities. The private drive leads to the elegant entry and the wall of windows immediately grabs your attention. The elegant oversized Master and most living spaces are on the main and there is a large rec room, bar, media and exercise room in the daylight basement- as well as guest rooms and baths. The kitchen is a cook's kitchen'' and there is formal dining as well as an eating area in the kitchen and a covered porch. There is a grand staircase leading to the lower level. Not many homes in Southern Oregon with this type of construction and views..all of this just minutes to town! Directions: From Demaray Dr to Campus View.